San Antonio Living – What on Earth is Recyclable? Do you know what you can and can’t recycle? Reduce your carbon footprint this year and learn how to identify whether common household items and materials can be thrown into the recycling bin. This entry was posted in News, san antonio news on March 29, 2019 by Junk King. Last updated March 29, 2019 . San Antonio has a 10 year recycling plan intended to significantly reduce the amount of trash that ends up in landfills. One aspect of the plan is an organics recycling program. This was given a test run by the city’s Solid Waste Management Department and was proven to be a success. The idea is that residents will be given a third recycling cart which is meant strictly for organic waste such as food scraps, leaves or other natural debris. These organics will be collected by the city and then turned into compost. However, a city councilman is putting the brakes on moving forward asking for more study. Councilman Carlton Soules asked for a “council consideration request” for a comprehensive review of the plan. He isn’t opposed to organic recycling per se; he just feels that it might make better sense to encourage folks to do their own composting as opposed to adding expenses of providing carts for everyone. Mayor Julian Castro agreed to take up the request after the council adopts the annual budget. For that pilot program, the city provided 30,000 green carts in four council districts. Everyone who got a cart seemed happy to comply. At issue is the scope of San Antonio’s plan. In 201 the city council approved a measure that set the goal at 60% recycling rate by the year 2020. Soules thinks that 40% is a more realistic approach. Now the council is dividing itself between those who want to push for the 60% or coast to the 40%. Obviously, this is an issue that is going to be at the heart of many future council meetings. When it comes to recycling items that can’t fit into those carts, your best option would be to hire Junk King. Junk King is the local San Antonio based business who is already on board with the concept of recycling. In fact, their recycling rate is closer to 65%. That means that over 65% of all the junk they collect from area residents is diverted away from the landfills. This makes Junk King the perfect recycling partner for your needs. When Junk King recycles they are doing so with the big stuff. 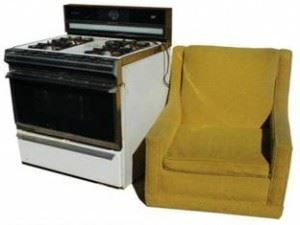 Oversize items like mattresses, sofas, bed frames and kitchen appliances can all be repurposed and reused. The trick is making sure those items get to the right recycling center. Junk King makes drop-offs at those centers nearly every day. 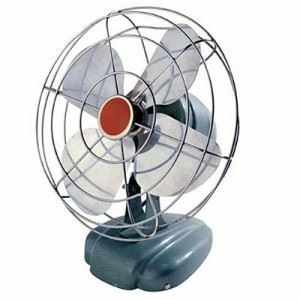 It’s part of the complete service provided by Junk King for everyone of their customers. Best of all, there is no extra charge for recycling. You’ll be paying for the amount of space your junk takes up in their truck. Nothing more, nothing less. When it comes to recycling the big stuff, Junk King is the only way to go. This entry was posted in San Antonio Appliance Disposal, San Antonio Furniture Pickup, San Antonio Green Junk Removal, San Antonio Junk Recycling, san antonio news, san antonio recycling and tagged Junk King San Antonio, san antonio hauling, San Antonio Junk Recycling, San Antonio Junk Removal, San Antonio Recycling Big Items, San Antonio Recycling News on October 31, 2012 by Mike Hasselbalch. Last updated August 2, 2017 . Do you know the proper way to lift a heavy object? It’s with the legs and not the back. If squats are part of your gym workout then you’ve probably got this concept nailed. The power should be transferred to your quads. If you’ve ever seen a mover or warehouse worker wearing a back brace that is to serve as a reminder to them not to use their backs. Anyone who has thrown out their back knows this is not a pleasant situation to be in. Oddly enough, you could go into back spasms with a bunch of sneezes. One of the reasons often cited by chiropractors as why backs go into spasm is dehydration. Yes, if you drank more water you’re back would be better off. Most back spasms or pulled muscles occur when we try to lift a heavy object. When the weight of the object is more than your body can endure, your back muscles stretch like taffy but they aren’t elastic. Welcome to the pain. This could be why you’re holding onto a lot of junk; it’s too heavy to move. Consider the old sofa. After a couch has lived out its usefulness you’ll replace it with a new model. What happens to the old sofa? It can’t be put out on the curb or in the garbage so it gets shoved into another room or into the garage. Shoving isn’t the same as lifting. You can push that sofa a lot easier then you can pick it up or try to load it onto your pickup. That’s where the sofa will now live for years. How many items do you have like that in your home? Something that is big and bulky that just got shoved out of the way? Isn’t it time to get rid of those things? Now you can with the help of Junk King San Antonio. Best of all, Junk King will do all the heavy lifting. Junk King is proud to be part of the San Antonio business community. In that role they have been helping many residents clean out the clutter of this lives by removing all kinds of bulky items from their garages, basements, attics and closets. A Junk King crew will consist of two experienced movers. You can bet these guys are lifting with their legs! They also know how to navigate around corners, up stairs or down a driveway without bumping into walls or scuffing up your floor. Junk King takes pride in its reputation as a dependable junk removal service. It can only earn that reputation if the workers live up to a standard of excellence. Call Junk King San Antonio today to discuss how they can help you toss out all those bulky items which are taking up space in your home and around your property. Remember, you won’t have to lift a finger! This entry was posted in Bulk Pickup, Junk King San Antonio, Large Trash Pickup, San Antonio Couch Disposal, San Antonio Junk Pickup, San Antonio Trash Pickup and tagged San Antonio Bulk Item Pick Up, San Antonio Bulk Pickup, San Antonio Furniture Pickup, San Antonio Junk Removal on October 22, 2012 by Mike Hasselbalch. Last updated August 2, 2017 . There is a fine line between hoarding and collecting. Rachel Dealy, has turned her love of collecting into a thriving business called Collective. It’s become a great go-to spot in downtown San Antonio when you need that one-of-a-kind gift. The storefront was born out of Rachel’s love for rummage sales, estates sales, garage sales and thrift shops. After several years of bargain hunting, Rachel found herself surrounded by all she had acquired and decided to turn it loose onto the world. She also shares the space of her store with a rotating roster of local artists who are offered the opportunity to sell their work on consignment. It’s a 3,000 square foot space just chock full of all kinds of objects. Now, there are some cynical types who would pass by a store like Collective and think, “It’s all junk.” But what might be junk to someone is a valued treasure to someone else. As with beauty, junk is in the eye of the beholder. You might think that you could turn your junk into gold or at least some cash. There might be a way to do that but not without a lot of effort. A yard sale is always the good way to go. To pull that off you have to drag everything you want sold out to your front yard bright and early. Hopefully you spent the day before putting up posters otherwise how will anybody find out about your sale? At the end of the day whatever you haven’t sold you have to drag back in. You could leave it on your lawn and hope someone might take it but one night in the great outdoors and you’ve created trash. Bottom line: if you’re committed to getting rid of your junk then just do it. Call in a junk specialist and get it over with. That junk specialist would be Junk King San Antonio. They are the professional movers based right here in San Antonio who make it their business to clean up your clutter. Whatever you want tossed out, they’ll load up on their truck and you can wave good-bye. Get real: your junk is just junk. Get it gone with Junk King San Antonio. This entry was posted in San Antonio Furniture Pickup, San Antonio Junk Pickup, San Antonio Junk Recycling, San Antonio Junk Removal and tagged clear clutter San Antonio, get rid of junk san antonio, Junk King San Antonio, san antonio hauling, San Antonio Junk Recycling, San Antonio Junk Removal on September 28, 2012 by Mike Hasselbalch. Last updated August 2, 2017 . 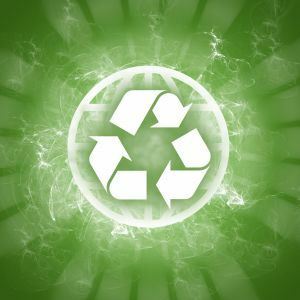 When it comes to e-waste recycling in San Antonio there are many options at your disposal. According to the Texas Campaign for the Environment the first option should be can you re-use the item? If we’re talking about something like an old television then it is conceivable that the TV could be put into a spare room or with one of the kids. But if you’ve got a great HDTV in the family room nobody is going to want to watch TV on that old set. If you donate the TV you’re just kicking the can down the road. In other words, if you don’t want the TV are you sure someone else might? Then there is the issue of what to do with old computers. Here is where the Texas state legislature stepped up to the plate and instituted a “take back” law. Now manufacturers have to take back an old computer and dispose of it properly. But there’s a hitch: You’ve got to take the computer back. In some cases you also have to arrange for shipping. Yes, you might get a rebate coupon good for the purchase of a new computer but you’ll have to do all the busy work. As for cell phones the TCE is happy to take them off your hands but you have to drop them off at their offices. Guess what? They don’t have a branch in San Antonio. Once again you’re stuck. That’s why you could go through anybody’s home or apartment and chances are you’d find plenty of computer towers, lap tops, monitors, fax machines and all kinds of other e-waste shoved into a closet or under a bed. All of that junk is taking up valuable space just collecting dust. If you want to get rid of it once and for all you’re going to have to call the pros. In this case the pros would be Junk King San Antonio. Junk King is the San Antonio based business who specializes in e-waste removal among other types of junk hauling. 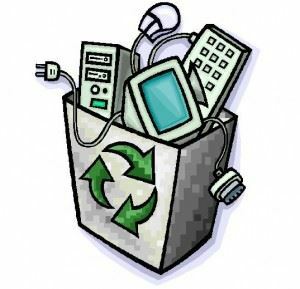 There have been many reports about shady dealers who take in e-waste and end up dumping in a landfill or shipping it off to some country for them to deal with. That’s not going to happen with Junk King. They’ll make sure your e-waste gets to the right recycling center. In fact, they take that same approach with all of your junk. If it can be recycled, Junk King San Antonio will see to it that it is dropped off at the right facility. You’re not going to get that level of attention from some guy riding around your neighborhood in a pickup truck looking for junk. When you want your all of your junk, no matter how big or small, removed responsibly from your home then the only call you should make is to Junk King. This entry was posted in e-waste disposal, Junk King San Antonio, San Antonio Appliance Disposal, San Antonio Green Junk Removal, San Antonio Junk Recycling and tagged Junk King San Antonio, San Antonio Electronics Disposal, San Antonio e-Waste, San Antonio Junk Removal, san antonio recycling on September 20, 2012 by Mike Hasselbalch. Last updated August 2, 2017 . When you’re serious about getting in shape, you’re much better off signing up for a gym membership at a certified club. It’s a safe place to work out. Case in point: two men tried to break into a San Antonio gym thinking they could get away with some easy cash. Why they thought there would be cash in the gym isn’t clear. These were not the smartest of robbers. Of course, they didn’t get very far with their scheme. That’s because when they broke into the gym they surprised a group of mixed martial arts fighters who were busy training. Picture that scenario: On one side are two scrawny break-in in burglars and on the other side are some buffed up MMA fighters. Who do you think came out the winner in that match-up? Luckily, the burglars were detained without harm and the police were called in to do their thing. But it does point out the gym is indeed a safe place to work-out. It’s also a smart place to work-out. At any given time you’re going to find a lot of experts working at the gym as trainers who can help you with a quick question about a machine or routine. Depending on the gym, you could also find a lot of options when it comes to staying in shape. Not only will there be a variety of equipment but you’ll also have the opportunity to sign up for all kinds of classes for spinning, aerobics, weight training, kick boxing and MMA! Doesn’t it make sense to have experts and variety for your work out? 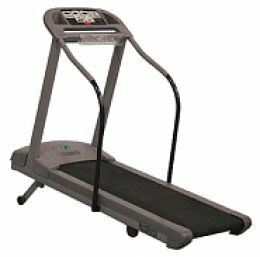 Which brings us to the issue of your home treadmill. Mistake purchase? Maybe not at the time. But over the months (or years) of monotonous treadmill workouts you’re going to become bored. With boredom comes the end of any workout commitment. Let’s face it; if you haven’t climbed on that treadmill in the last six months than chances are that ship has sailed. Maybe it’s time to let it go. The same can be said for any other kind of home gym equipment. We’ve all seen those gizmos advertised on TV that promise flatter stomachs or smaller thighs. The truth is that if you’re serious about getting into shape and staying there then a gym is your best option. And to get rid of that treadmill Junk King San Antonio is your only option! Junk King is the local San Antonio TX business that is dedicated to helping you reclaim your home space. Couldn’t you think of a better use for that corner where the treadmill lives? Of course you can. One call to Junk King San Antonio will get you on the road to recovery as in recovering that space! Start working out in the gym today and you’ll be in amazing shape just in time for the holidays. This entry was posted in Junk King San Antonio, San Antonio Appliance Disposal, San Antonio Junk Pickup, San Antonio Junk Removal, Treadmill Disposal and tagged Exercise Machine Disposal, San Antonio Junk Removal, San Antonio Treadmill Disposal, Texas Treadmill Removal on August 31, 2012 by Mike Hasselbalch. Last updated August 2, 2017 . Every city has a place that visitors flock to but residents rarely see. In New York it’s the Statue of Liberty. In Los Angeles is the Hollywood Walk of Fame. And in San Antonio it’s the Alamo. Although the nearby River Walk certainly attracts it’s fair share of visitors and provides a much needed boost for the local economy, the Alamo is often relegated to an a “passing thought” by many of the locals. That might soon change. A group calling themselves Team Better Block recently held a festival at the Alamo showing how things might be if the city can approve spending a million dollars on improvements. The primary focus of this possible expansion would be to close the west end of Alamo Street and allow it to be an open market area for arts, crafts and food. For this “try-out” event, 10,000 folks showed up for the weekend which was a huge boost for the area. Of course not everyone was in favor of this type of project but with the city looking for help to inject more money into local businesses this could be just the ticket. It might also mean that San Antonio becomes a bigger draw for tourists and visitors. If you’ve got family or friends living out of state you might be more inclined to invite them for a vacation if there is more to do around San Antonio. While there are plenty of hotels and inns for guests to stay at, nothing beats opening up your home provided you have the space. With the summer winding down, the holiday season will be right around the corner. Will you be inviting folks to spend some time with your family in the coming months? If so then you might want to make room by clearing out some junk taking up much needed space in your home. It’s amazing how quickly we can fill up a spare room with useless stuff. What was once a perfectly decent guest room becomes a family’s dumping ground. That shouldn’t be the case. After all, you bought that house fully intending to use that spare room, right? Isn’t it time to reclaim that space? You can when you hire Junk King San Antonio. Junk King San Antonio is a local business that can help you clean out the clutter from your home, garage or attic. Not only will you be supporting a local business but you’ll be getting a great deal. Junk King San Antonio doesn’t charge by the hour. They charge by the volume. In other words, the amount of space your junk takes up in their truck is what you’ll be charged. That’s a single price including all travel time, dumping fees and labor costs. This is a terrific bargain that should motivate you to get your home ready for visitors or just get rid of that junk once and for all. And because Junk King will do all the work, that means you’ll have more time to enjoy all that San Antonio has to offer. So remember the Alamo and remember Junk King San Antonio when you need to get the clutter out of your life. This entry was posted in Cost of Junk Removal, Junk King San Antonio, San Antonio Junk Recycling, San Antonio Junk Removal and tagged Junk Removal Prices, san antonio hauling, San Antonio Junk Hauling, San Antonio Junk Removal Cost, San Antonio Junk Removal Prices on August 21, 2012 by Mike Hasselbalch. Last updated August 2, 2017 . The headline from a recent San Antonio Business Journal article was a welcome relief to many. It read: “San Antonio Housing Market Moving in the Right Direction.” As with everywhere else in the country, the San Antonio housing market took a huge hit when the recession creeped in. But now the average price of a home is at the highest level since 2008. That is according to the San Antonio Board of Realtors. Bottom line: savvy realtors are making the move to expand their business and Junk King can be a huge help. With prices going up, more folks are going to be looking for a bargain. It stands to reason that the more choices you can offer them the better off you’ll be at closing contracts. This might mean going outside of your comfort zone of neighborhoods and exploring areas where foreclosures dominated. The trick with scooping up a foreclosed property and getting it ready for sale is where Junk King San Antonio comes into play. Junk King is based right here in San Antonio. The good folks working for the company might just be your neighbors. What they specialize in is all kinds of junk removal. You could step into a foreclosed property that is layered with garbage, furniture, broken appliances and just a plain old mess. Don’t be deterred. If it is a good price in a good location grab the listing then call Junk King. Cleaning up a foreclosed property is probably among the easiest jobs that Junk King handles. That’s because they’re not really working with a fuss owner who might be picking through things on the way out to the truck. All you need to do is throw open the doors and tell the crew to haul it all away. In a matter of hours, that home which was once piled high with trash will be wiped clean to the bare walls. You then have the option of bringing in paint crews to spruce it up a bit more. Even still, with empty rooms and the removal of ratty carpet you’re sure to impress prospective buyers. Of course, there is nothing stopping you from hiring Junk King for your own home as well. If you’re in need of a home office then Junk King can get you started by moving out the clutter from your garage or spare room opening up the space to move in a desk and file cabinet. You might not need much but at least with the clutter gone you’ll have a decent work zone set up for you to get busy in. Whether it’s for your listings or your home, Junk King should be on your speed dial. This entry was posted in san antonio foreclosure, san antonio hauling, San Antonio Junk Removal, san antonio real estate and tagged junk removal san antonio, san antonio foreclosure clean out, San Antonio Real Estate clean Up on August 1, 2012 by Mike Hasselbalch. Last updated August 2, 2017 . Sadly, last year there were no fireworks in San Antonio, at least not the big shows sponsored by the Chamber of Commerce. That’s because the surrounding land was just too dry to risk a spark flying off from the rockets. But this year, the fireworks are roaring back… provided it doesn’t get too much hotter! The plan is for a huge celebration to take place at the Woodlawn Lake where the San Antonio Parks Foundation will present their water reflected fireworks display. This is a truly unique experience that promises to be fun for the whole family. According to the San Antonio Fire Department, the recent rainfall makes conditions a bit more agreeable for fireworks but that doesn’t mean we’re completely out of the woods. A sharp increase in the temperature could result in drying up the area and forcing another cancellation. Could you still celebrate the 4th of July without fireworks? Absolutely. But for that to happen you need to refocus your efforts on your own backyard. That’s where you can gather your friends and family for a good old fashion summer cookout. One of the fun things about a cookout is that you probably won’t have any trouble getting the men to do most of the cooking. Naturally that “cooking” really means grilling. At any backyard barbeque you won’t have to look far for the husbands and dads. They’ll all be gathered around the grill discussing the merits of what makes the best BBQ. As for the kids, all they need for backyard fun is a sprinkler and a waterslide and they’re good to go. In fact, with the hot July temperatures it might be hard keeping some of those grown-ups off that water slide. To get your backyard ready for this kind of fun celebration you’ll going to have to do a bit of safety proofing. Essentially this will mean inspecting every corner of your yard for any hazardous junk. Don’t forget if you have kids playing here than anything that isn’t nailed down can become a trap! Piles of lumber, chunks of concrete, busted planters or rusted kitchen appliances will all become fair game as those young ones explore and imagine. You can clear all that junk out in one afternoon by hiring a team of professional junk haulers like Junk King San Antonio. The professional junk hauling team from Junk King will arrive at your home for a scheduled appointment. They’ll be working on your schedule not the other way around. If you need to be there to supervise they can show up after work hours or on the weekend. You could even pile up what you want taken away in your driveway. Attach a note saying, “All this junk goes!” and the pros will do the rest! Make sure your 4th of July and rest of the summer will be a safe one with a clean backyard. This entry was posted in Junk King San Antonio, San Antonio Green Junk Removal, san antonio hauling, San Antonio Junk Pickup, San Antonio Junk Recycling and tagged San Antonio 4th of July Junk Removal on June 13, 2012 by Mike Hasselbalch. Last updated August 2, 2017 .